I started a PAC this year and whether you are Republican, Democrat, or something else entirely, I have a message for you on this election day! I’m not sure what he’s doing with his face, but it’s cute, lol. Voted! 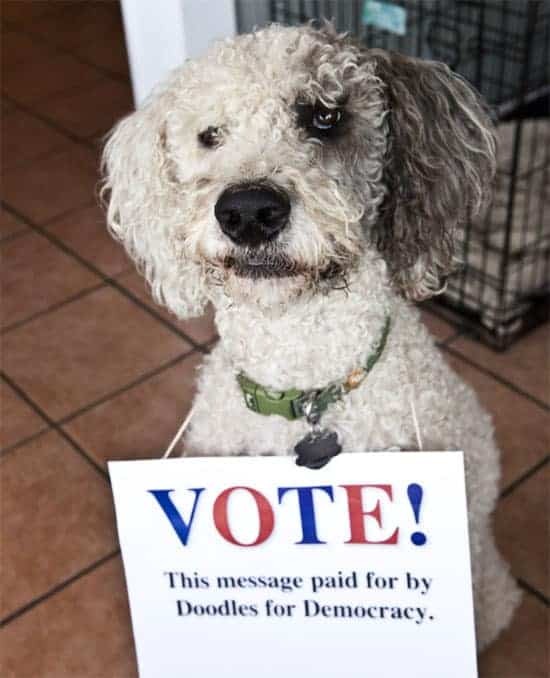 And for the same party as Doodles! « The Homemade Trails: Granola Recipes Home » Swedish Meatballs + Giveaway!